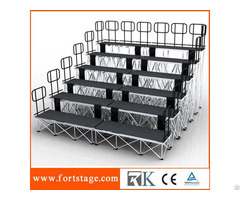 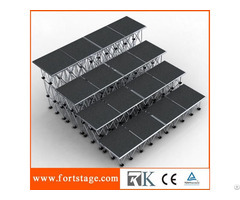 Choral Stage Series with 4 layers - this portable stage with unique and professional design, it is very perfect craftsmanship, owns technicians design for your special request.Besides, we choose high quality material, and to ensure the stage to be safe, stable & strength! 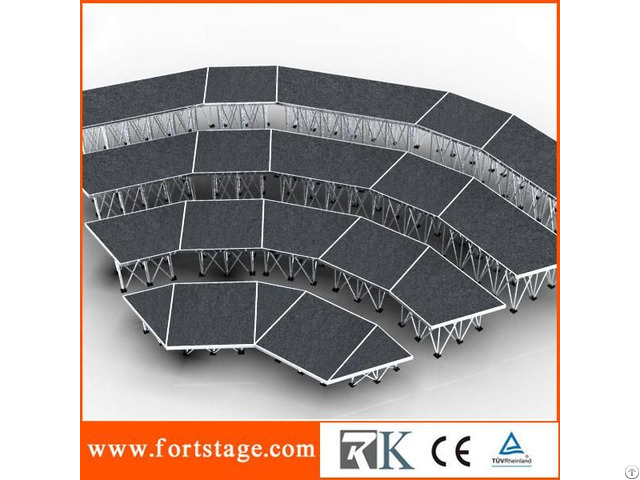 Posted By: Rack in the cases ltd.
Business Description: RK's main products include flight cases, portable stages, truss, pipe and drape, sports bleacher and related equipment. 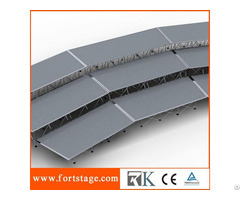 RK is not only a manufacturer, but also a professional provider who can offer customers all kinds of solutions.